Why quotes? Check what I had to say the first time I posted quotes. Please feel free to post you favorite, or most recently encountered, quotes. I’m off at a conference for the weekend, so my reading and posting will be limited. I look forward to being back on Monday! WaaHoo! Strap yourself in and hold on tight, this is a wild Geek ride! 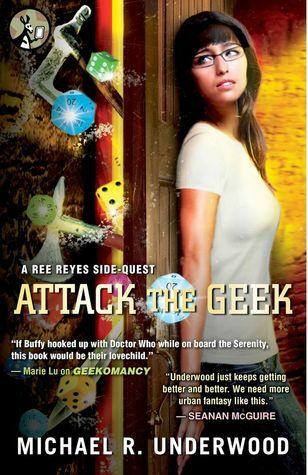 I’m new to the ‘Geekomancy’ world of Ree Reyes, but if this is any indication what the first two books might be like, count me in! Essentially, this is a world in which all the books, comics, movies, television shows, and games (board and video) come to life in the hands of those few ‘Geeks’ who have found the way to tap into the tremendous geek powers. But with great powers come great dangers and equally powerful villains and monsters. Imagine fighting off a hoard of goblins with a Star Wars lightsaber and a Star Trek phaser, or attacking a Sewer Troll with the powers of a Pokemon card! Or watch a snippet of a Spiderman episode and have the ability to climb walls or shoot webs to restrain your attackers. These are the sorts of abilities that author Michael R. Underwood’s geeks possess. But the powers have limits and are not always renewable. This particular book is a novella — the author/publisher call it a “Side-Quest.” It is not fully developed, and often feels that way. Essentially, this is one very large, long battle sequence. It was a great initiation for someone like me…a long time geek not familiar with the particulars of this world, but even someone such as myself, who was smiling ear to ear at all the geeky reference (patting myself on the back for picking up on so many of them), started to grow weary at the battle after battle after battle. I wanted something other than another form of geek-fighting to happen. It does, but it 1) relies on some prior knowledge to the series, and 2) it took just a tad too long. I suspect that any shorter and they have had a tough time packing it to sell as a book, and any longer would have required much more detailed plotting. 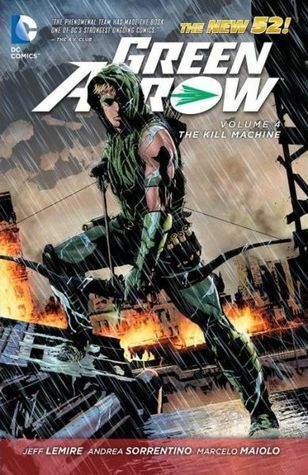 Still…this was an awesome introduction to the series and I can’t wait to pick up the first two books, and I’ll now be on the look-out for any subsequent Ree Reyes novels. Looking for a good book? If you are in any way a literary/gaming geek, this is a must. If you just like good sci-fi/adventure, you’ll quickly be drawn in to the world of geekdom. If you’re a sci-fi/fantasy enthusiast, how often have you read a book and, whether or not you liked the story-telling, felt like it was really nothing but a rehash of an already over-used scenario? Move over stale f/sf themes; enter: Peacemaker, a wholly original and thrilling fantasy adventure. Set in the future, when urban sprawl has decimated much of the earth, Australia’s Birrimun Park, an ecological haven in the middle of a coastal megalopolis, the story focuses on Virgin Jackson, the park’s ranger. Virgin is asked to look after visiting US Marshall, Nate Sixkiller. Virgin, who can be a bit strong-willed and bullish, takes her job very seriously. She loves the park, as did her father (who died under suspicious circumstances). There’s a police officer determined to pin a murder wrap on Virgin, and her on-again-off-again boyfriend stripper boyfriend seems a bit jealous of Marshall Sixkiller. To add to Virgin’s troubles, she’s having visions of an ‘imaginary’ eagle, a sort of familiar or totem, which she has seen since she was a child. No one else has ever seen her eagle … until Nate Sixkiller! This book is a fascinating blend of western, fantasy, mystery, thriller. I was exciting by the western-ness of the story, while understanding the fantasy aspect at the same time. It’s a blending of genres that typically haven’t worked well together (with the possible exception of Joss Whedon’s Firefly television series). Then, just a little bit in to the book, I was excited by what I felt was a strong Native American sensibility. It was more than just Nate Sixkiller’s background and name… it was a conveyance of tone and theme such as one might find in N. Scott Momaday or Leslie Marmon Silko. It was beautiful. On top of the Native American and American Western genres comes the mystery. Or rather … mysteries. Who killed the man Virgin found in the park? Who attacked Virgin in her home, and why? Who killed Virgin’s father, and is there a connection? Who is Nate Sixkiller? Who is Virgin’s boyfriend, Heart Williams? Who is…who is…who is… and why, why, why? You can practically see the rings around Virgin’s head as she tries to piece together all the different variables in her life, but just as she seems to be about to get a handle on one, she is thrown a curve. The mega-city is filled with lawless and organized gangs, and Virgin works every angle she can, drawing some of the criminal element in to her circle in order to protect the park. 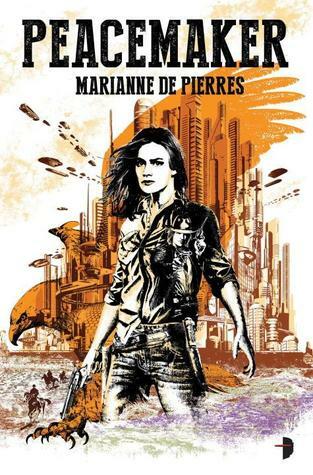 Author Marianne de Pierres has done a remarkable job creating a world that is at once totally recognizable and believable. She has also given us a large variety of characters who are unique from one another and also totally believable in their environment. And she’s given us a story with non-stop action and plenty of mystery. But I think what impresses me the most is the incredible blending of genres. Listed as science fiction/fantasy in the publisher’s catalog, this is just as easily a mystery with fantasy elements, or a thriller, or… I haven’t been this excited about a book that engages me on so many different levels, in a long time. With all my praise and hype, there are two down-sides to the book. The first being my usual issue with ‘serial’ books in that there are too many questions left unanswered. Clearly an attempt to get us excited for the next book in the series, this has the effect of not being a complete book, to me. Nate Sixkiller can’t tell Virgin what division of the U.S. Marshall’s he belongs to without our wanting to know more. Virgin’s offer at the end of the book, and Nate’s declaration are clear plot points for an over-arching storyline, but leave this particular book with an unsatisfying ending. As a book-buyer, I may have to start doing with books, what I did with comics years ago…stop buying the individual issues/books and wait for the compilation graphic novel/book set. This move, which I suspect is more publisher oriented than writer oriented, is certainly not regarded in high favor. Plenty of successful authors have written books in a series with a recurring character and each book is a complete story. I could list them, but any reader older than thirteen could also list them. The second point that was less than remarkable was Virgin’s super-heroic ability to take punishment and keep on going. The attack on Virgin and Nate near the end of the book was over-done and their survival seemed super-human. Interestingly, I’ve recently read Neil Gaiman’s Ocean at the End of the Lane with a similar styled attack. I will look forward to the next book in this incredibly original adventure, and I hope I see more of the same cross-blending of genres. It works very well. Looking for a good book? This action-packed, genre-blending sci-fi/fantasy/mystery/western will have you turning pages quickly as you get sucked in to the story. 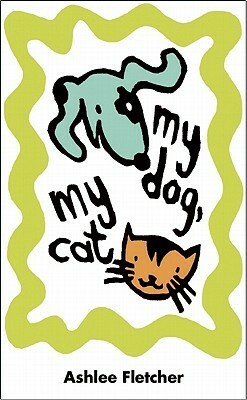 For about as long as I have been reading, I have collected quotes. What makes a good quote? I think it’s a snippet of writing that speaks volumes. It is the prose version of a poem – something that, in a condensed manner, waxes philosophic on a subject. 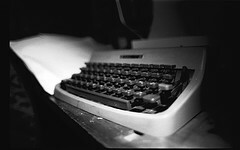 Or it might be a turn of a phrases that perfectly captures or identifies a moment. Or might just be a sentence that makes me burst out laughing. There have been times that I’ve looked back on a quote and wondered why I had thought a quote worth saving, but more often than not, I’ve enjoyed looking back on the quotes i’ve collected. I thought it might be nice to share some of the quotes I’ve been finding in the books I’ve been reading for this blog. I hope you enjoy these as well.